How long will the Security agents probe into the circumstances that led 15-year-old Ricky Daniel Ohikhena to sneak into the wheel of an Arik Air last week? The Federal Airport Authority of Nigeria (FAAN) would always want to lay the blame on the airline involved when in the first place the negligence started on the part of FAAN’s security agents. According to Ashok K. Sharma, under the IMO’s FAL Convention (Facilitation of International Maritime Traffic Convention), a stowaway is “A person who is secreted on a ship, or in cargo which is subsequently loaded on the ship, without the consent of the ship-owner or the master or any other responsible person and who is detected on board the ship after it has departed from a port, or in the cargo while unloading it in the port of arrival, and is reported as a stowaway by the master to the appropriate authorities”. In this case, not just on board the ship, but also any other means of transportation. It’s been revealed that the problem of stowaways is an ancient one, with social, economical and political situations in a region being the main cause of migration. Adverse conditions such as conflict, instability and deprivation, influence people to stow away on board ships (or on aircrafts and other means) to a more affluent country where they expect to have stability, opportunity and a better life. With Daniel’s incident with Arik Air, Nigeria has now been listed among stowaway countries. One could sense that the 15year old may have embarked on such venture (hoping that the flight was US-bound) on the reason of psychological effect which must have emanated from the kind of movies he’d always watched. As a child with high expectations from his parents and the government of the day, he was ready to go extra miles to achieve his dream if disappointed by both his parents and the government. He never thought of whether he would die in that wheel closet, his was just to get to the US and then start his life afresh without legal documents. Funny! Usually, every party directly associated with the airline panic and eventually suffers absolute inconvenience and losses when a stowaway is found. 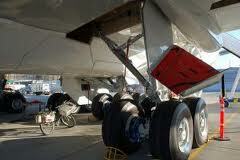 It is a breach of security if a stowaway is not found before the take off. Who knows, he could be a terrorist-suicide bomber on a mission. The greatest threat from stowaways is not so much their physical presence onboard and stress placed on the crew, but the consequences of their presence such as heavy fines (fine on the pilot or even withdrawing his license to fly), delay to ships, and possibly even criminal charges against the crew for mistreatment of stowaways. It is easy to suggest that the most effective way to stop this nuisance is to prevent the stowaways from boarding when they are sighted anywhere near the port. It’s said that in the case of Daniel, an Arik passenger had pronounce the presence of the boy, both it remained on deaf ears. Despite the best coordinated efforts of the ship, terminal, and company, determined individuals like Daniel will occasionally succeed in stowing away. However, it should be possible to reduce the frequency of such persons gaining access onboard. Many years ago, in the summer of 1768, an eleven-year-old butcher's apprentice named Nicholas Young climbed aboard a ship, hid himself from captain and crew, and waited to be carried far away from the life he hated in London. Nick didn't know it, but the ship he chose -- H.M.S. Endeavour -- was bound for an astonishing adventure. Captained by James Cook, Endeavour was on a secret mission to discover an unknown continent at the bottom of the globe. During his three-year voyage, Nick encountered hardship and was awed by new discoveries; he weathered danger and proved himself brave when disaster struck; he earned the respect and trust of the gentlemen on board; he made a friend for life. And he made history. An eleven-year-old boy named Nicholas Young really did stow away on Cook's Endeavour. Based on exhaustive historical research and illustrated with evocative drawings by Robert Andrew Parker, Stowaway is Newbery winner Karen Hesse's extraordinary fictional account of the real Nicholas's journey. Today, Ricky Daniel Ohikhena has become famous for his valour. This has also earned him a scholarship (granted by the Rauf Aregbesola Foundation) till university level to fulfill his American dream. It is not a matter of just publicizing the point that security agents have begun probes on the matter. It is about the seriousness on the probe. It should start from the security agents themselves, officials of FAAN and Arik Air. Safety challenges are assuming new trends every day. The responsibility of any flight lies with the operator. Arik too has responsibility so they are to be blamed as well. They should all learn how to manage issues before they escalate to crises which turn out to attract global condemnation. The all have to stop agonizing and start organizing themselves to curtail future occurrences.